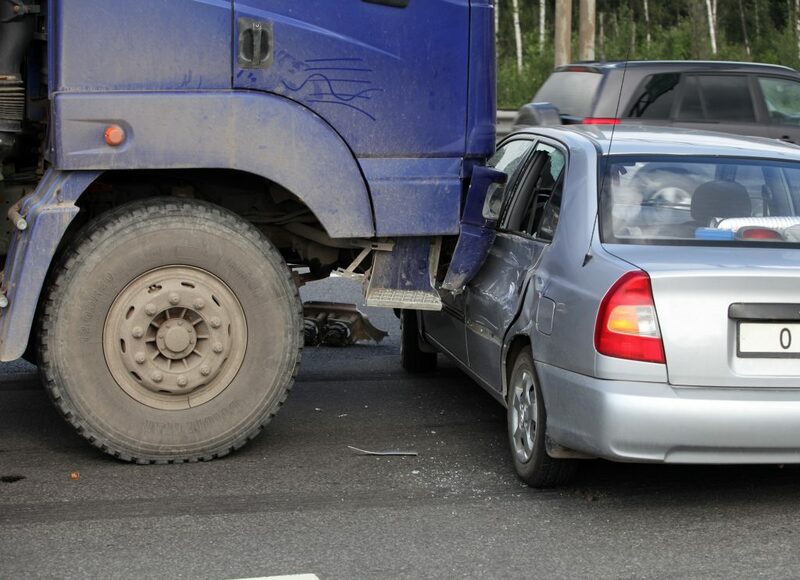 When a commercial tractor-trailer or big rig collides with a smaller vehicle, the damage to the smaller car (and whoever is occupying it) can be devastating. For example, a semi-truck collided head-on with an SUV on Highway 180 near Fowler Avenue in East Central Fresno. The driver of the SUV was pulled out of his vehicle before it exploded. Unfortunately, the driver later died from his injuries, according to ABC News. The driver of the semi-truck was not hurt. The deadly collision described above is not some anomaly. Fatal collisions between commercial trucks and other vehicles are quite common. A truck accident occurs about eleven times a day in the United States, and close to four thousand drivers and passengers are killed each year in these collisions, according to CNBC. To make matters worse, an additional one hundred thousand individuals suffer serious injuries in truck wrecks each and every year in the U.S. Furthermore, deadly truck wrecks have increased since 2009. If you or a loved one was seriously injured in a wreck caused by a large tractor-trailer, you probably have grounds to pursue a personal injury claim against the truck driver and their employer. The truck companies know this, which is why they act swiftly after being alerted to an accident involving one of their vehicles. In a matter of hours, the scene of a serious truck wreck can be inundated with claims adjusters, investigators, and attorneys for the truck company. This is why you need to take some important steps after the collision to protect your claim. The first step is to alert police and seek immediate medical attention for your bodily injuries. The health and well-being of you and any occupants in your vehicle is paramount. If you, or a passenger, are able, try to collect some evidence and pertinent contact information. For example, you should try to get the commercial driver’s license number and insurance information from the truck operator. You should also try to get the name of the truck company. If you are able, try to collect the contact information of any witnesses who saw the Fresno truck accident occur. This would include their full names and cell phone numbers. You should also try to determine if there were businesses near the accident scene that may have recorded the collision on their video surveillance camera system. Many gas stations and convenience stores have outdoor cameras monitoring their parking lots and may have picked up the accident. If you or a passenger are able, take photographs of the scene of the collision. With the advent of cell phone cameras, you should be able to take a fairly clear picture of the accident scene, including the damage to your vehicle, any skid marks on the road, and any stop signs or street signals, etc. You should also take pictures of any visible wounds you suffered. Shortly after the accident, likely within 24 to 48 hours, do not be surprised if you receive a call from an insurance adjuster for the truck company. Do not, under any circumstances, agree to give a recorded statement without first speaking to a Fresno car accident attorney. This happens all the time – an adjuster calls the victim and acts friendly. They try to make you feel at ease and request that you give them a summary of the accident via a recorded statement. This is a tactic used by insurance companies to try and mitigate their potential liability exposure. They may wind up twisting or misusing your words to make it sound as though you were not seriously injured or that the collision was your fault. 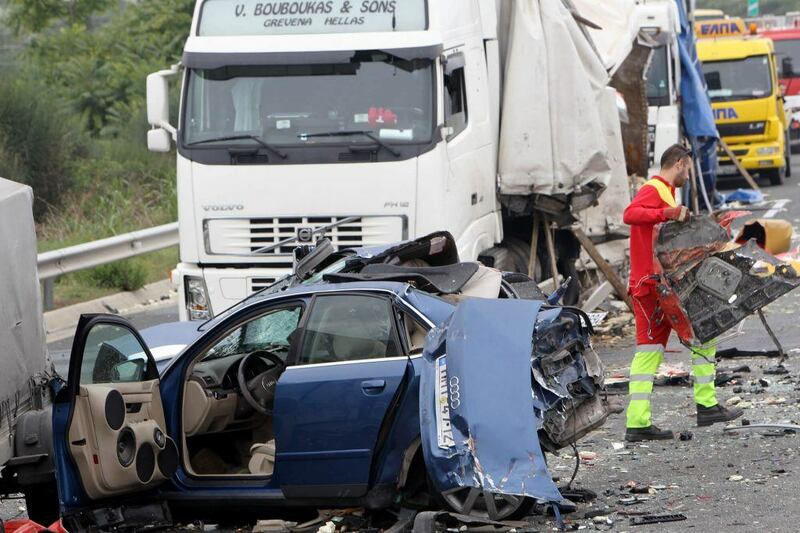 This is why you need to first speak with an experienced Fresno truck accident lawyer. Having an attorney by your side will help make sure your statements to the insurance company are clear, accurate, and beneficial to your case. As mentioned, you should seek timely medical treatment after the collision. You also need to follow the instructions provided by your doctor. This is extremely important because if you ignore a doctor’s instructions or blow off rehabilitation visits, it sends a red flag to the truck company insurance adjuster and could weaken your injury claim in front of a jury. They may think, “well, if they didn’t go to treatment for their injuries, they probably were not hurt that bad.” So remember, follow your doctor’s advice. Where Should a Truck Accident Lawsuit Be Filed? Many accidents involving commercial trucks occur on interstate highways. This is how most tractor-trailers and big rigs haul consumer goods and other items from point A to point B. When someone is hit by a big rig, they may be traveling from one state to another and may not be residing where the collision occurred. This leads to an important question – where should a truck accident injury lawsuit be filed? In most personal injury cases, the lawsuit is filed in the city or county where the actual incident occurred. Also, the suit would be filed in state court rather than federal court. However, it is possible for a truck accident case to wind up in federal court or in a court of a different state. A federal court claim is a possibility when a truck accident involves parties residing in different states, and the amount of damages being pursued exceeds $75,000, or if a violation of federal law occurred in the collision. So, for example, if you reside in Fresno and were hit by a commercial truck whose company is based in Seattle, Washington, and your lawsuit is seeking damages totaling $500,000, then a federal court could have jurisdiction over the case. It is also possible that when a case is filed in state court, the case will eventually be “removed” from that court and sent up to federal court. Jurisdictional issues are some of the most complex aspects of personal injury litigation, which is why it makes sense to have an experienced Fresno truck accident attorney on your side to help guide you through this process. I'm Ed Smith, a Fresno Truck Accident Lawyer. If you or someone you care about suffered an injury or passed away in a truck accident, please call me right away at (559) 377-7676 or (800) 404-5400 for free, friendly advice. I handle client cases on a contingency fee basis. This means you pay nothing up front. I get paid at the successful conclusion of your injury case. I am a member of the Million Dollar Advocates. This is a fellowship of injury lawyers with verdicts and settlements over $1 Million. Please see some of my case results here: Past Settlements & Verdicts.